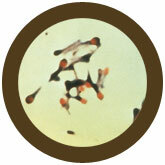 Tetanus (Clostridium tetani) under a microscope! Do you want to know why you shouldn’t step on a rusty nail? Because it hurts – a lot! Even if you don’t get Tetanus. Good reminder to get vaccinated and keep your booster shots up to date. 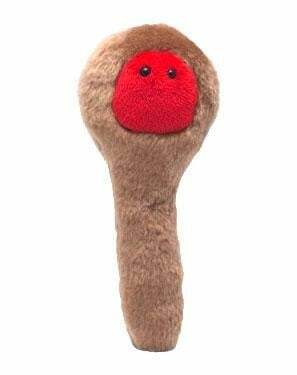 Your purchase supports NFID in its mission to educate the public and healthcare professionals about the causes, prevention, and treatment of infectious diseases. To learn about vaccines to prevent tetanus, click here. Spasms in the jaw muscle, or lockjaw, are often an early symptom of infection. Indeed, a “spatula” test – prodding the back of the mouth with a soft instrument – which prompts a jaw-bite instead of a gag-reflex is a common indicator of infection. Extreme muscle contractions (or stretching) later occur throughout the body, often of such strength that muscles are torn. Tetanus bacteria are extremely virulent and the mortality rate of a tetanus infection is high. Fortunately, tetanus is not contagious from person to person – and there are vaccines which can protect against infection. However, in order to maintain the full effectiveness of the vaccine, booster shots are required every ten years. Where the immunization history is uncertain, booster shots can be administered after a wound is suffered as a precautionary measure. But because it can take up to two weeks to develop the antibodies that confer immunity, it is important to keep your shots up to date – or that rusty nail may put you on the rack. Named after its symptoms. Tetanus comes from the Greek word “tetanos”, meaning muscular spasm. 0.4 x 4.0 micrometers, or 15 thousand times smaller than a toothpick! Tetanus is a deadly disease caused by the toxin produced by Clostridium tetani bacteria. The infection occurs when bacteria enter the body through deep wounds, like the one you might get by stepping on a rusty nail. Since it’s the toxin that causes the disease, humans can be affected even if the bacteria aren’t present! It only takes about one millionth of a gram to kill a person! It causes damage to nerve cells which results in uncontrollable muscle contractions and spasms. The first signs of tetanus are lockjaw, then stiffness of the neck. The DTP vaccine protects against diphtheria, tetanus, and pertussis. Discovered by Carle and Rattone in 1884. 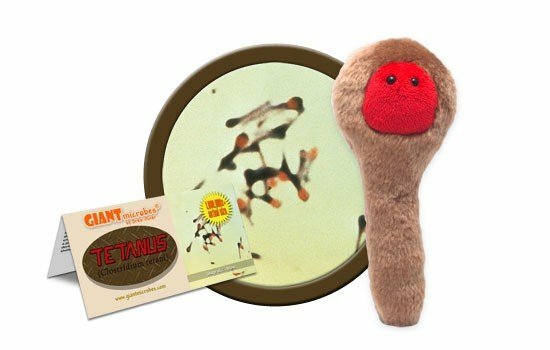 C. tetani has the ability to change into a spore that can withstand temperatures up to 250F. That’s 40 degrees higher than boiling water! It’s commonly found in soil and in the intestines of animals like horses, sheep, and cows. Henry David Thoreau’s brother, John, died of tetanus after shaving in 1841. This devastated Henry so much, he decided to seclude himself in the woods at a pond called Walden, to write in his journal. That’s how one of America’s greatest essays was born.